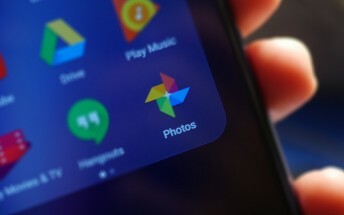 Photos isn’t the only app that Google has updated today. Along with an update on Google Maps that lets you privately share your precise location and Google Allo getting document support, Google Photos also gets an update on iOS and Android that allows for easier sharing in situations where you may find yourself with nothing more than a 2G connection. When sharing a set of photos with limited connectivity, Google will first uploads a “lightweight preview” of the photo where recipients can view a lower-res version of the photo that would look just fine when viewing on a mobile device. Then, once normal connectivity returns to your device, the higher-res version will replace the initial low-res photos. Aside from this, the Google Photos upload interface also got a facelift, making it much easier to tell the progress of the photos and videos being backed up with a round progress ring. Pulling down on this ring will show you a preview of the photo currently being backed up. Its little things like this that keep users coming back.